According to People, Gere and Top Chef star Padma Lakshmi are dating. “They’re getting to know each other,” a source said. 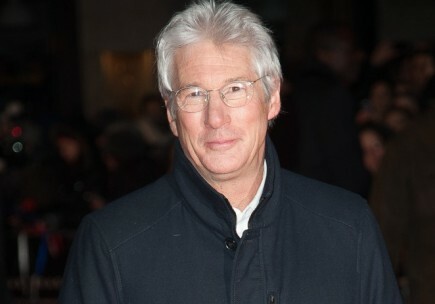 “…They’re not sure what’s going on yet.” Gere split from his wife of 11 years last year. The former couple have a son together. Lakshmi has a 3-year-old daughter with ex-partner, Adam Dell. How do you know when you’re ready to date again? 1. You’re over your last relationship: When you think back on your past relationship, you have absolutely no feelings whatsoever. You no longer think ‘what if’, and you’re ready to give love a chance with someone. 2. You’re happy with yourself: Before you start a romance with a new partner, you need to be happy and content with yourself first. You know what you have to offer, and you’re looking for someone who will treat you just the way you deserve. 3. You’re looking: When you’re out on the town for a night out with your friends, you find yourself mingling with other singles a little more than you used to do. You’re actively looking for a new partner, and you’re having fun doing so. How did you know you were ready to start dating again? Share your experience below.